Yet another year coming to an end, where does the time go?? As I always say we couldn't accomplish anywhere near what we are able to without the support of our wonderful community. So thank you very much to every one of you! Here's to a wonderful 2019!! P.s. You can find the latest edition of the HARTbeat here. This has been another very busy year for us at HART but also an extremely productive one! 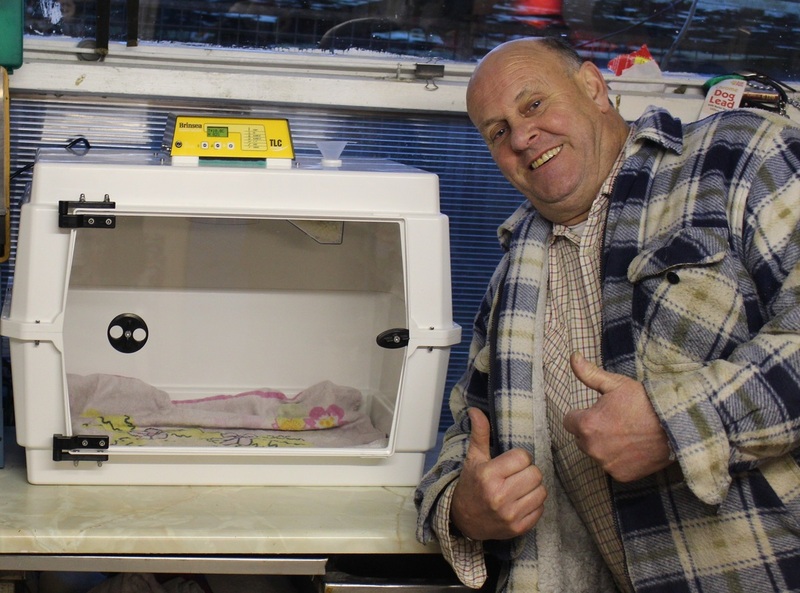 Many, many animals have been helped at the centre and I have been all over the country catching dogs on behalf of DOGLOST UK. As always huge thank you to everyone that has supported us throughout the year, whether with donations of bric-a-brac, bedding, fundraising or dogwalking; you all know who you are and we couldn't do what we do without you. Hope you all have a lovely festive season and best wishes for 2017! P.S. You can find the Christmas edition of our newsletter The HARTbeat and our Christmas card by clicking on "Rays Newsletter" in the menu above, or following this link. A fantastic young supporter, Felicity Benton, is going to be running the Birmingham Color Run on the 20th August 2016, not only that but she is doing it to raise money for our organisation! I am constantly warmed by the generosity we see here, from people of all walks of life, and the wonderful Felicity is no exception. 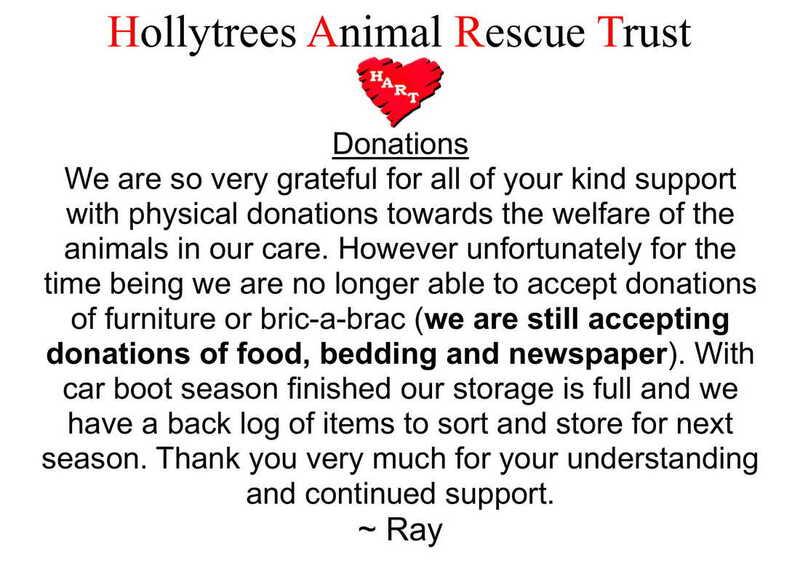 Simply put Hollytrees Animal Rescue Trust would not be able to help the vast number of animals we do without this kind of backing. Every penny raised goes straight to the animals, whether it be food, bedding or vets bills etc they are the ones who benefit. Please show her as much support as you can. leaving encouraging comments or passing the word on. She's got great spirit and we are humbled that she has chosen to raise money for us. Good luck Felicity for the 20th! ​What an absolutely crazy day it has been today, in fact the last week! Some of you may be aware that we decided to develop the land that sited what we called our ‘crow pens’. Named due to the many years these large aviaries housed Cyril the Rook and Joe the Crow. After both of them went to live with a friend of the charity who keeps Corvids, in even bigger aviaries that you can imagine no less, we decided a redesign was in order. This is where our friend Rob comes in, knowledgeable as they come; he is our project manager and keeps us on the right track. So for the last week Rob and I, with the help of any willing volunteers, have been clearing this area and under Rob’s guidance prepared it for the first stage: solid concrete base.